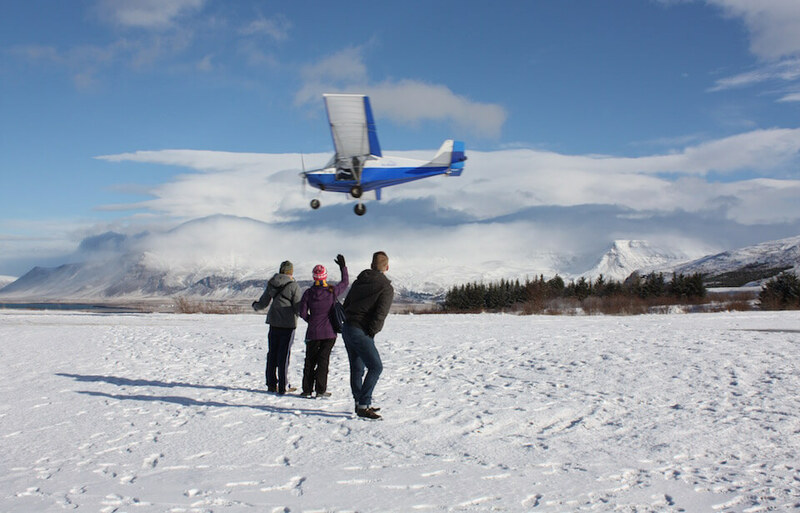 This is the ultimate adventure sightseeing tour of the stunning nature surrounding Reykjavík. The aircraft is a two-seater, slow flying “Ultralight” aircraft, able to fly low over the ground. Pick Up: Pick-up from Reykjavik possible. Departure: Pick up, if selected, starts 30 min before your booked time. 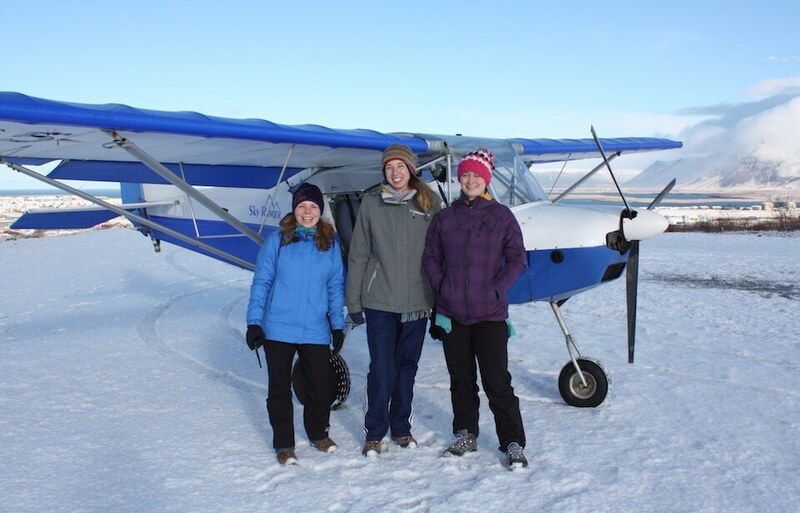 Flight Plan: Lava fields, coastline skimming (seal spotting), mountains surrounding Reykjavík. Included: 15-20 min Ultralight flight. Flying Photography: Bring your own camera and/or use our GoPro Hero4 mounted inside or outside. An Ultralight Adventure Flight is a legitimate Introductory flight operated by licensed and experienced Ultralight Instructor pilots. This is the ultimate adventure sightseeing tour of the stunning nature surrounding Reykjavík (English translation: Smoky Bay). 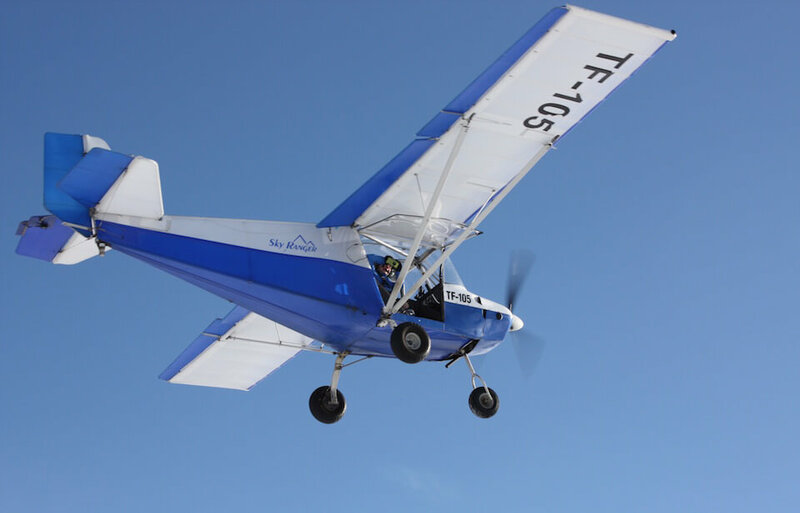 The aircraft is a two-seater, slow flying “Ultralight” aircraft, able to fly low over the ground. The wings are overhead and the windows open fully, giving you a perfectly unhindered view of the ground below. Be prepared for an unparalleled photographic view!